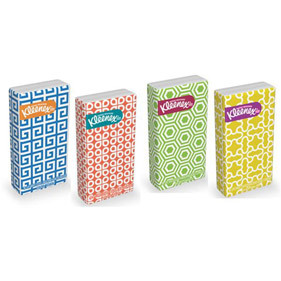 • Kleenex ® Pocket Packs are trendy designed pocket tissues in a compact format. • Designed to be extra soft and extra strong. • Our boxes are made from at least 95% recycled fiber with most of them actually being from 100% recycled. 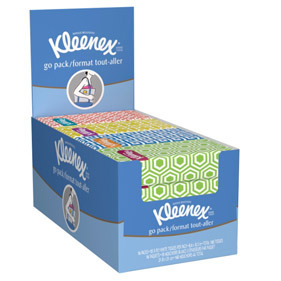 Download PDF Kleenex sell sheet.